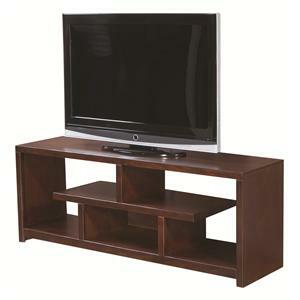 Bring this contemporary designed 49 inch console to your home for your living room or entertainment room. 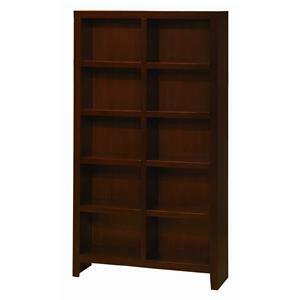 It features clean liens and smooth surfaces to offer a simple look. 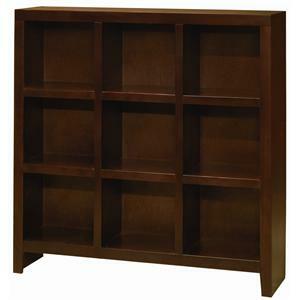 It features one shelf with three open compartments. 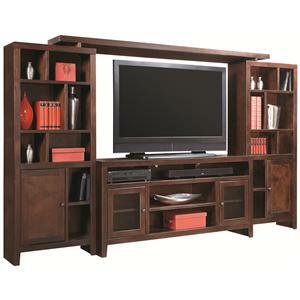 Use alone or pair with the 60 inch piers for a modular wall unit. 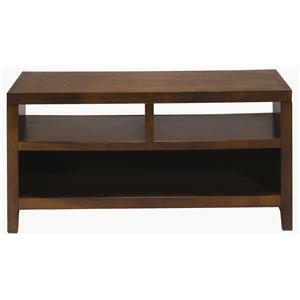 The Essentials Lifestyle 49 Inch Console by Aspenhome is available in the area from FMG - Local Home Furnishing. Bold, Fresh and Unique. 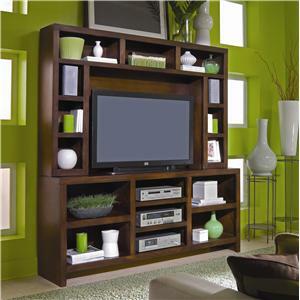 Contemporary style encompasses a range of styles developed in the latter half of the 20th century. Pieces featured in this collection offer clean lines and smooth surfaces on simple silhouettes. 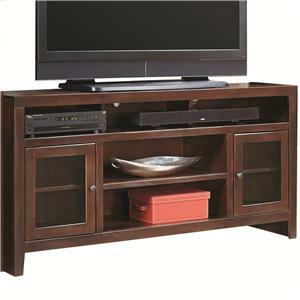 Available in Soy, Caramelized, Cherry, Medium Brown, or a Black finish, these entertainment units will create a warm and inviting look in your home. 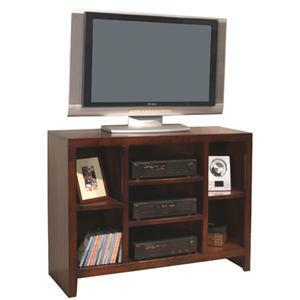 Sizes range from small to large for whatever size room you have. 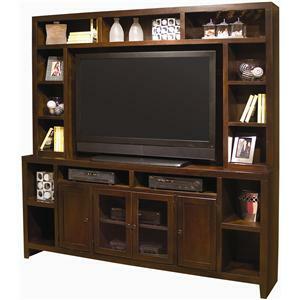 The Essentials Lifestyle collection will complete the look of your living room, family room or home entertainment room. 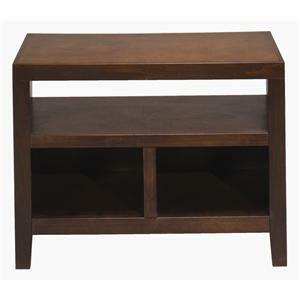 The Essentials Lifestyle collection is a great option if you are looking for Contemporary furniture in the area. Finish Multiple finish options available. Description: Top Clean smooth surfaces tops. 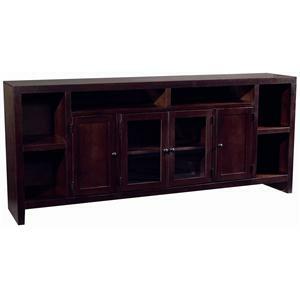 Case Construction Constructed from hardwood solids and veneers. 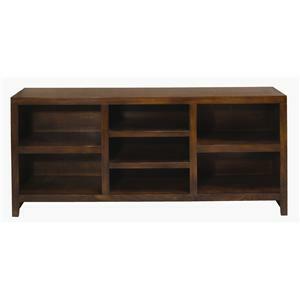 Browse other items in the Essentials Lifestyle collection from FMG - Local Home Furnishing in the area.